8 Best Scanners 2019 - Which is the Best Scanner? A scanner is a device that captures images from photographic prints and posters, magazine, pages and similar sources for computer editing and display. Even home users will occasionally find the need to use a scanner. Therefore, if you are searching for a suitable scanner then we can help you with some of the Best Scanners 2019 that are available on the market. The CZUR ET16 Plus revolutionizes your scanning experience by bringing simple intelligent and fast scanning performance. It’s also capable of scanning physical objects such as sculptures. All of your scanned documents can be converted to editable Word, PDF, TIFF or JPG. It has sufficient light in the natural environment to adjust the light source to avoid the problem of reflective. It easily synchronizes your files to any devices you wanted giving you more flexibility to manage your scanned data and work. In addition, it is equipped with a 16-megapixel Sony HD camera and can provide high-quality scanning documents. It can also be connected to a computer or projector via HDMI used as a visual presenter. Besides, the sidelights will help to reduce the glare when scanning glossy materials. Can scan books, magazines, documents, solid objects, and other materials at a fast clip. The software can correct for crooked pages. Doesn’t approach claimed scanning speeds. Some learning curve to software. Should be operated away from bright light. 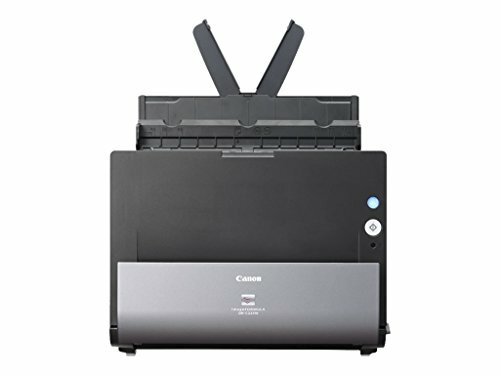 The Canon CanoScan LiDE 220 comes with an auto scan mode, which automatically adjusts settings by detecting what you are scanning. It lets you upload images to the cloud with remarkable ease. It provides a maximum optical resolution of 4800×4800 DPI too. Its vivid 48-bit color depth is capable of producing over 281 trillion possible colors. In addition, it offers an auto document fix feature, which automatically generates beautiful scans with advanced image analysis and area-by-area data correction. It comes with a stand to enable vertical scanning accommodating workspaces of just about any size. Besides, it uses only one USB cable for both data and power so plugging in is easy. It includes My Image Garden 5 a convenient software package that makes organizing your photos fun and easy. Image enhancements include color restore and dust removal. Scans to searchable PDF and editable text formats. Inconsistent commands from one choice for scanning to the next. The Brother DS-620 mobile scanner is perfect for the mobile professional, who needs a powerful scanner that will slide right into a briefcase or business bag. It’s ideal for capturing business documents, as well as receipts, business cards, laminated identification cards, invoices, photographs and more. It delivers lightning quick scan speeds of up to 8-ppm in both color and black-and-white. In addition, it features industry-standard drivers TWAIN and SANE to help enable easy integration with Windows. Mac and Linux operating systems. It includes a package of scanning software to help you manage and distribute information as well as reduce the need to store and reference hard copy documents. Comes with capable document management software with built-in optical character recognition. The Canon imageFORMULA DR-C225W scanner is ideal for various industries such as legal, healthcare, financial and real estate. 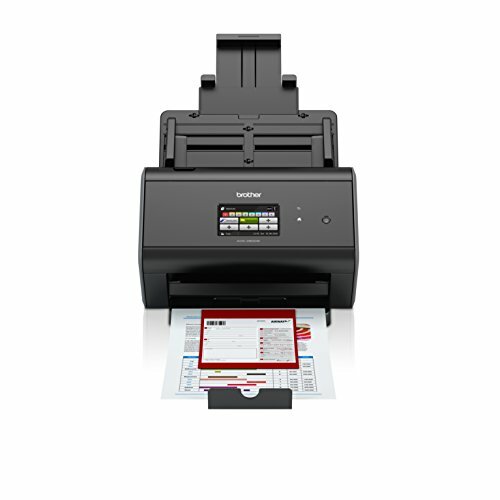 It has built-in wireless capability that allows for scanning across multiple devices and can be used by individuals or shared by small workgroups to modernize paper-based processes and help increase efficiency and productivity. It can be used for converting documents into editable electronic files, scanning business cards and organizing contacts, file archiving retrieval and sharing, searchable PDF creation and much more. Fast text recognition for scanning to searchable PDF format. Although business-card recognition is good enough to be useful, it’s well short of excellent. The Brother ImageCenter ADS-2800W document scanner can scan single and double-sided materials in a single pass. In both black and white and color at speeds of up to 40 pages per minute. It features two in one mode to capture 11”x17” documents or continuous scan mode to scan unlimited pages into a single file. You can scan photos, documents, receipts, emboss plastic business cards and more in color and black and white. It has wireless networking with web connect, which allows direct scanning to cloud applications including Google Drive and more. 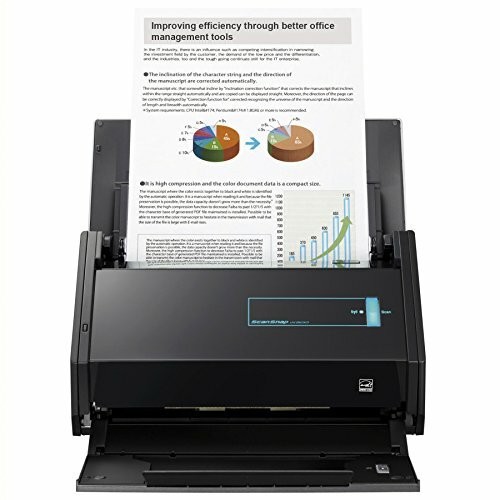 In addition, the Brother ImageCenter ADS-2800W document scanner gives you the option to scan a number of different destinations to help you manage your documents and workflows. This model has an excellent slate of ports and connectivity options. Brother’s large dimensions and bulk can be an inconvenience for offices with limited workspace. 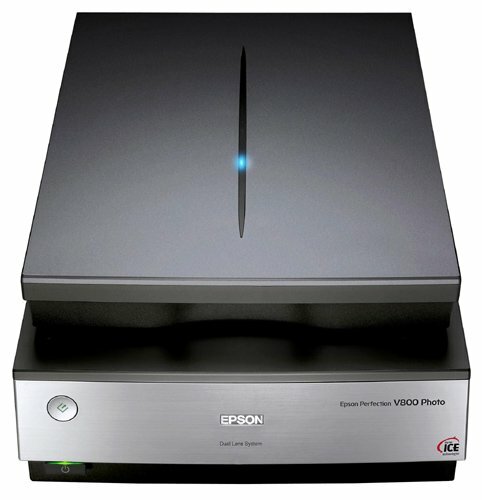 The Epson Perfection V800 Photo Scanner comes with the high 6400 dpi optical resolution and 6400×600 dpi scan resolution. Along with a 48 bit, the color depth that ensures fine detail will be captured and colors will be accurately reproduced. Epson Perfection V800 Photo Scanner features adjustable height control and rigid design for sharp focus and ideal image quality. You can restore faded color photos to their original brilliance with Easy Photo Fix scanning technology from Epson. Besides, it will automatically remove dust and scratches and the Digital ICE technologies remove many surface defects from film and prints to minimize costly retouching. High-quality scans for photographic prints and film (including slides). Scan modes range from full auto to full control over settings. Doesn’t come with a photo editor or any other application program. 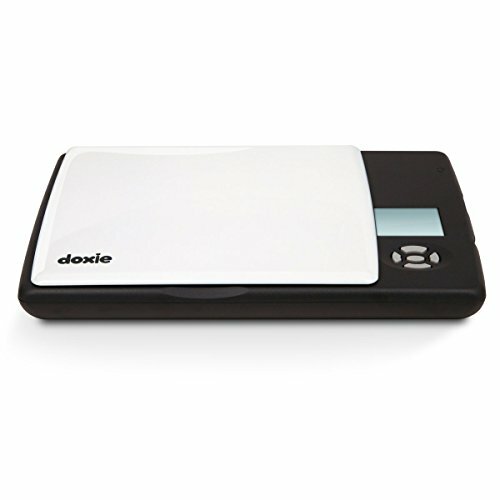 The Doxie Flip Mobile Flatbed scanner is a battery-powered scanner with a transparent scanning area of 4×6 inches. 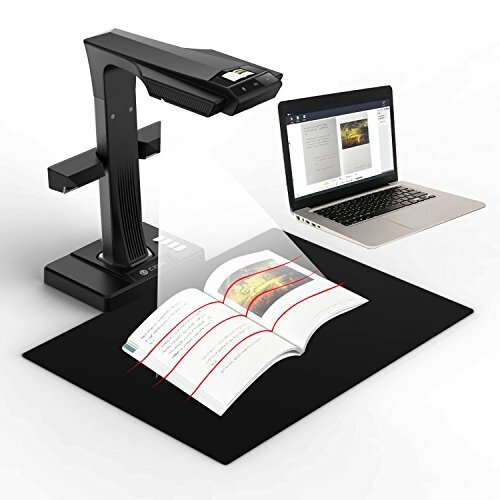 It is designed to be a portable scanner and can flip over to capture 600 dpi scans directly on top of documents items and sketches. It operates on four AA batteries for wireless operation and has a detachable lid for versatile scanning options. It can complete each 300 dpi scan in 7 seconds and can run 200 scans before you have to replace the batteries. It comes with companion software for pre-installed AA batteries a 4GB SD card and a USB SD card reader. It also allows you to share or send your JPEG and PNG files to social networks or other applications. In addition, it provides a software update, which can automatically stitch together more significant documents. Can scan almost any surface. The Doxie app has some helpful features like Stitch or Staple. Colors of scans are not accurate. Still too big to carry around. Claiming the top position in the list of best scanners in 2019, we have the Fujitsu ScanSnap ix500. It scans at 600×600 dpi in color and at 1200 dpi in monochrome. 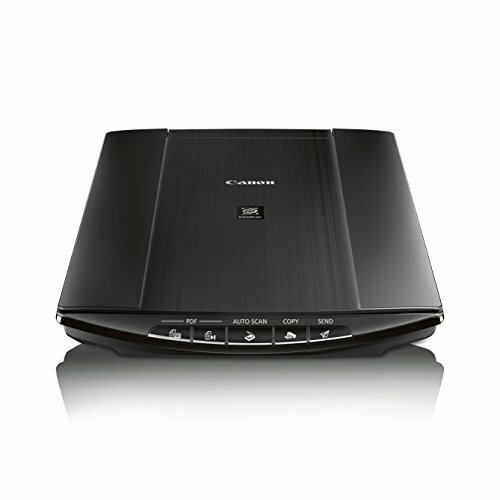 In addition, it can scan 25 pages per minute and can scan one and two-sided documents in a single pass. The integrated 50-sheet automatic document feeder processes large enough documents in a single step so that you can digitize your records quickly. It offers a dual-core CPU mounted GI processor that performs intelligent image enhancement and supports WPS wireless LAN 802.11 b/g/n and USB 3.0. Besides, it helps you to override settings letting you bypass double feed detection for documents such as receipts tape to expense reports. Did well at reading business cards. You can’t give a scan command from within an application. Scanning to some programs may require several steps. Only connects wirelessly to one computer at a time.